Thank you for your interest in being team captain for AFSP's Out of the Darkness Campus Walks! We hope you'll find your role both enjoyable and rewarding. Our goal is to provide you with as many ideas and resources as possible so you can successfully lead your team to raise money for AFSP's important work. Please feel free to contact our staff with questions you may have. Following are a few tips and suggestions for getting started. Remember why you're walking and why you're leading a team. 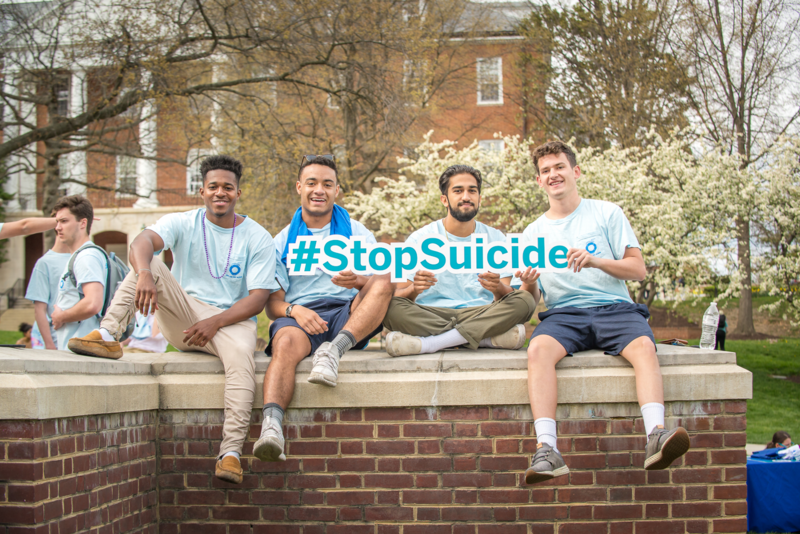 Have you been involved with AFSP personally or professionally before? Have you lost a loved one to suicide? Have you or your family members ever struggled with depression or other mood disorders? Sharing your personal motivation for being a team leader (within your comfort level, of course) can be the most compelling way to involve others. Pick your team name. It can be a family name, a company name, a neighborhood name, or any name you think of. Your team may want to walk in memory of a loved one or in honor of someone. Set your goals. How many people do you want to have on your team? There is no minimum but the more people you have, the better. Also, set your team's fundraising goal. The suggested minimum fundraising goal is $150 per person. If you have four people on your team, your minimum team fundraising goal would be $600. Experience shows that most teams exceed their fundraising goals! Pick your target audience. Make a list of people you know and decide whether to ask them to join your team, make a pledge, or both. Be broad in your thinking about who might join your team -- it's the best way to raise funds because team members can ask their own family and friends for support. For people who you're approaching primarily for a contribution, make a "guestimate" of how much you think they would be able and inclined to give. Think about their connection to you and to the cause, as well as their financial resources and giving habits (if you know them). Think about people who have asked you to support their charitable causes. Ask people to join your team. Ask in person whenever possible. Explain the cause, what's involved in being on your team, and what support you'll provide for them. Have them register online and make sure they select your team name. When you get a "no" from someone you've asked to join your team, ask for a contribution instead -- they'll be more likely to give since they just said no to your first request. Ask for a specific amount, or a range of amounts, based on your previous "guestimate" of what the person you're asking may be able to give. If you ask for $5 from someone with the resources to give $50, you're giving up on the opportunity for 45 extra dollars. Learn to be comfortable with silence after you ask someone for support. If you fill the air with chatter, you're giving the person time to think of a reason why they can't give. If you ask for $25 and then wait for their response, they will be more likely to agree to support you. Make it easy for people to give. If you are approaching them in person, offer to take their check or cash right then and there. If they want to pay by credit card have them visit the web site and click on the "Donate Now" button. This will take them to a secure site for making online donations. Include a return envelope when you send letters. If you send an email, provide them with the link to the walk website (CampusWalks.org). Remember, you should be able to clearly and concisely present your case for why the person you're asking should support you. To practice, imagine you're riding an elevator with a person you'd like to recruit and you have only the ride to pitch your cause. Tell them specifically what you're doing, for what cause, why that cause is important to you, and how they can support you in your efforts. Practice your "elevator speech" so you can use it at any time. Send an email to your staff directory asking for team members and for support for your team. Be sure to include a link to the walk website or give instructions on how to register or donate online. Include a recruiting slip in your payroll envelopes. Hang a poster in company common space. As employees join your team, list them in a prominent place. Provide an incentive for team involvement. Develop "perks" for high fundraisers, such as parking spaces, days or half-days off, extra casual days, catered lunches, or whatever you can give to employees to reward their efforts. Remember -- many companies will match employee donations. Check with your company's human resources department. Plan a picnic or other activity around the walk so family and friends take the opportunity to spend time together. 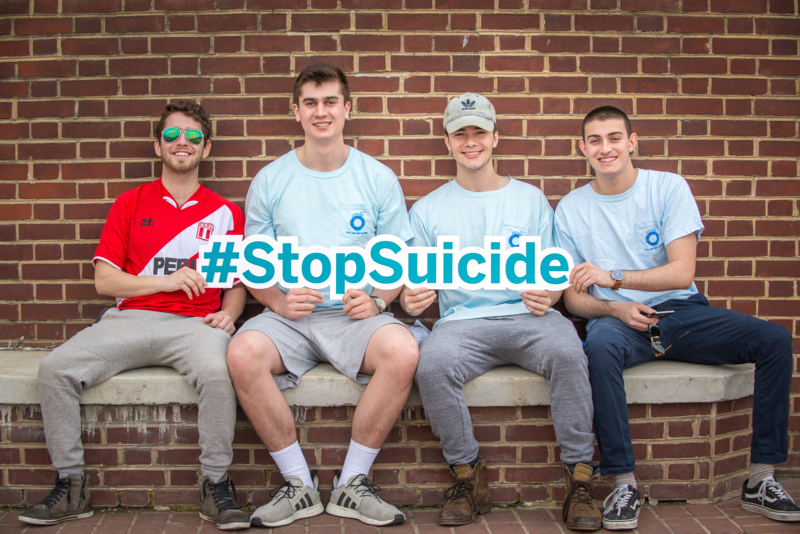 Include your personal story of why you feel connected to AFSP's mission in order to motivate people to participate and/or donate. Make sure to complete your team registration form online. Once you are registered as a team leader, your team members can register themselves or you can add them to your team. Check the site regularly to make sure it accurately reflects all team members. Host a meeting to rally your team and share fundraising tips, or meet individually with team members. Offer yourself as a resource for people who haven't asked for money before. Help team members brainstorm whom they can ask to support them. Help team members set their individual fundraising goals. Remember, the minimum goal for each team member is $100, but we'd love for you to set them higher! Have team members practice their "pitch" to you. Share information about AFSP and our cause so team members will feel more comfortable sharing information when they make their own asks. Keep in touch regularly with team members via e-mail and telephone! As a team leader, touch base with the walk coordinator or walk chair in your area. Make sure all of your team members have directions to the walk and know where to meet your team once they arrive. You can meet before the walk if you like and carpool to the site, or meet at the walk site and have a flag or sign so you're easily spotted. Make signs or banners to carry with you or wear something that distinguishes your group as a team. Encourage your team members to write personal thank you notes to people who contributed to the walk on their behalf. You can have a "thank-you-note-writing" party to encourage team members to complete this task. Send your own thank you letter to team members for participating.